Hello Doodlebug fans! 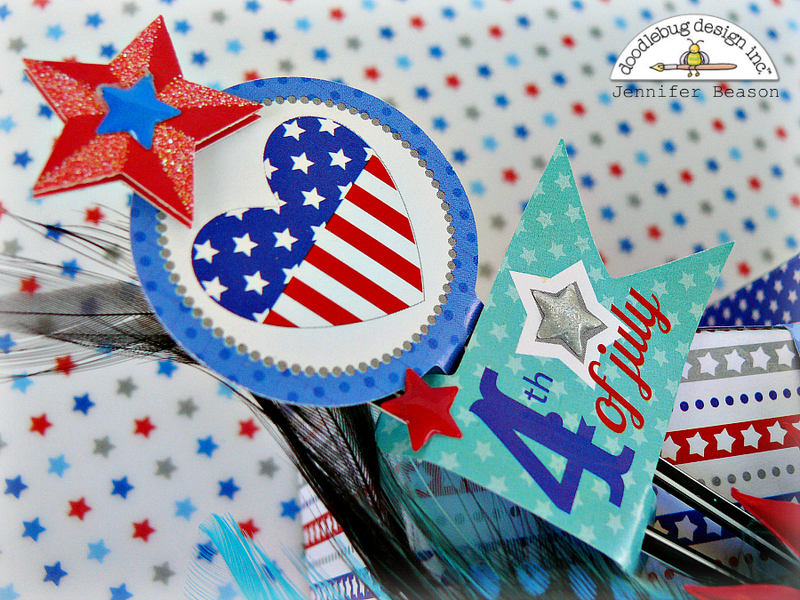 Jennifer here with my Patriotic Picnic project. I decided to create an Uncle Sam decoration to sit in a alcove I have in my home's front entrance. The Uncle Sam image used for the piece, is a Silhouette file. But if you don't have a cutting machine, you could easily create something similar on your own. 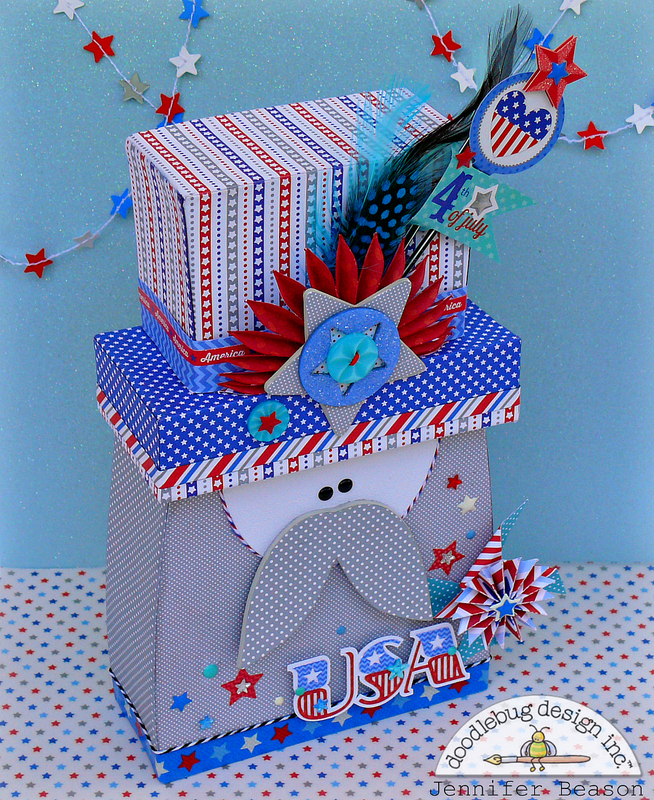 I wanted my Uncle Sam to look pretty thick and solid, so I cut the front and back out of chipboard, then sandwiched 2 inch foam pieces on the inside. Strips of thin chipboard were glued to the sides, bottom and top. The piece was then covered with Patriotic Picnic patterned papers. 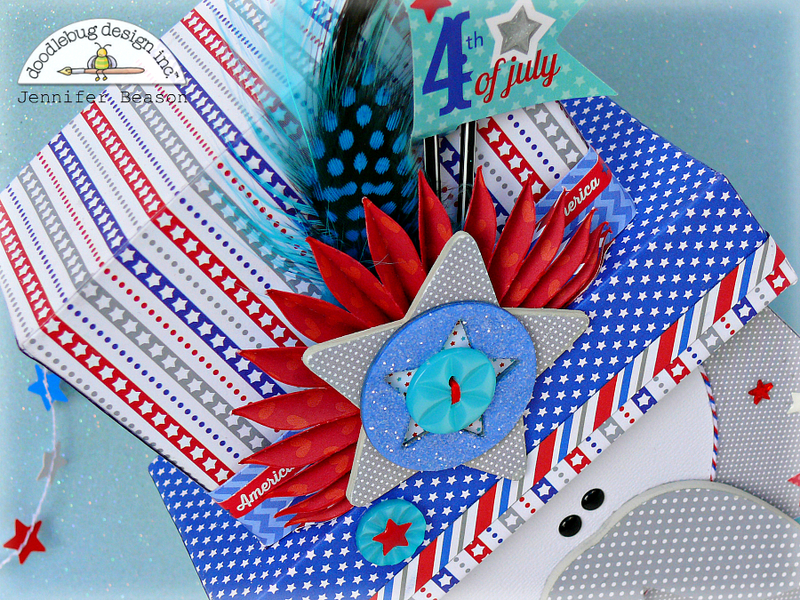 The hat was embellished with chipboard pieces, buttons, star sprinkles, a border sticker and pixies. 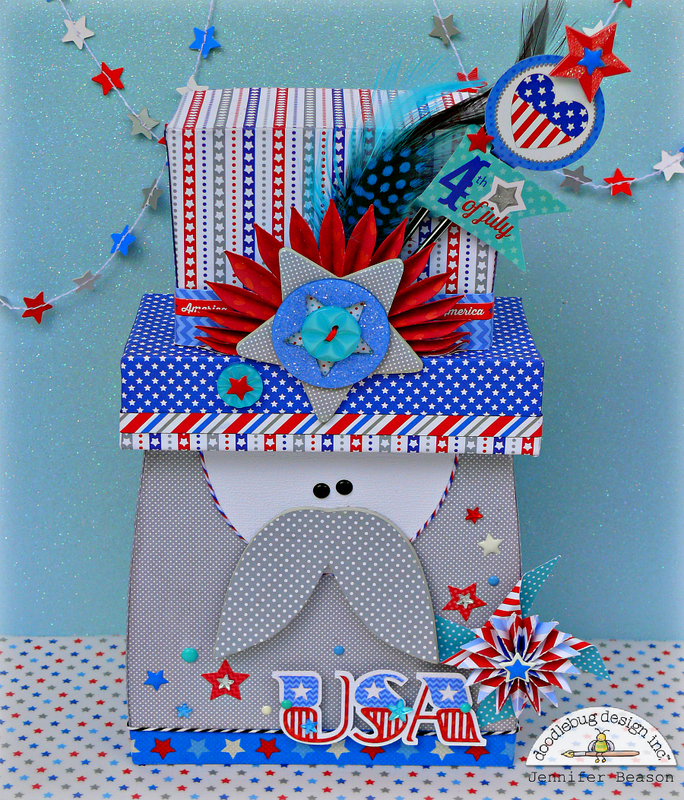 The right side of Uncle Sam's beard was embellished with sprinkles, star sprinkles, star jewels and stickers. For some more detail and texture, a pinwheel was also added. 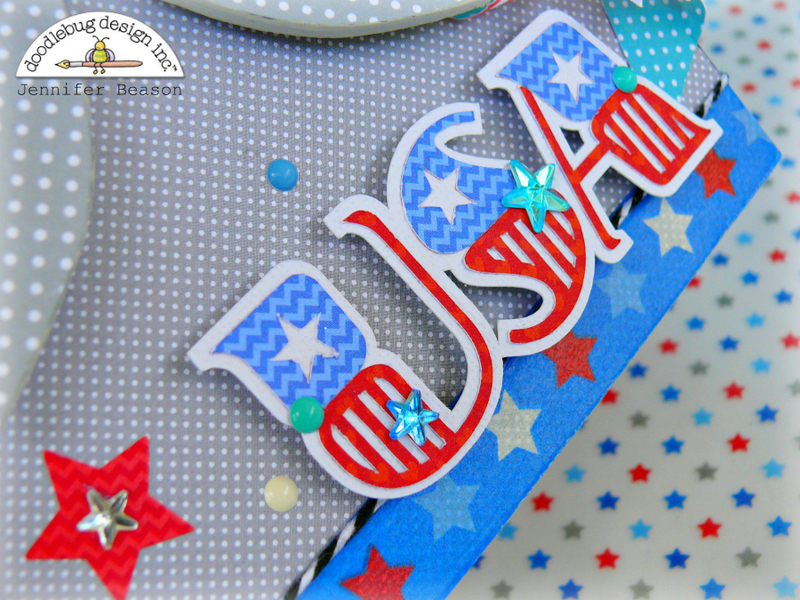 Washi tape and twine were attached to the bottom of the beard, to add some color along with the letters "USA". Here's one last look of the finished piece. Oh how cute! Love this Jennifer! 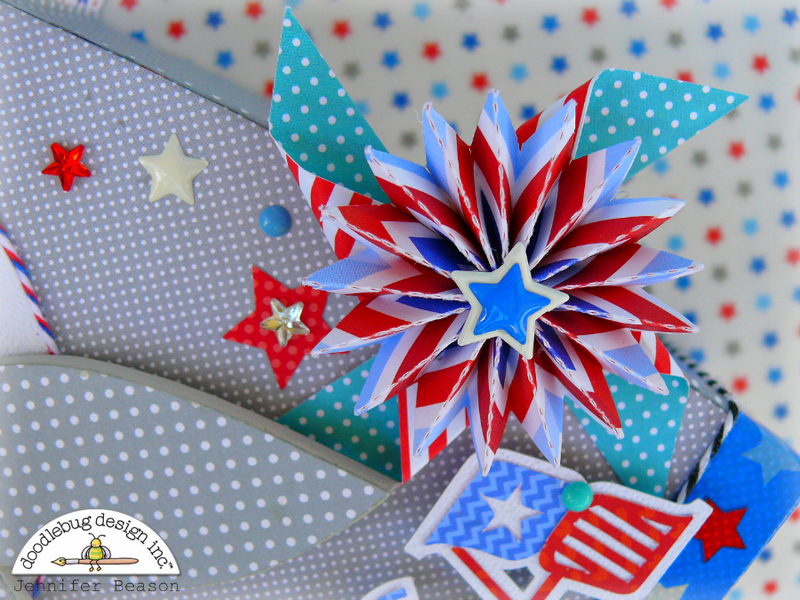 WOW - super awesome details on this project and SO very FUN AND PATRIOTIC!!! So cool!! Love that you made this!! Great job Jennifer!!! Your projects never cease to amaze me Jennifer :) So fun!!! What a wonderful project!!! I love it! !